A re you an empowered Leader Partner with the drive to transform ideas into sustainable value? 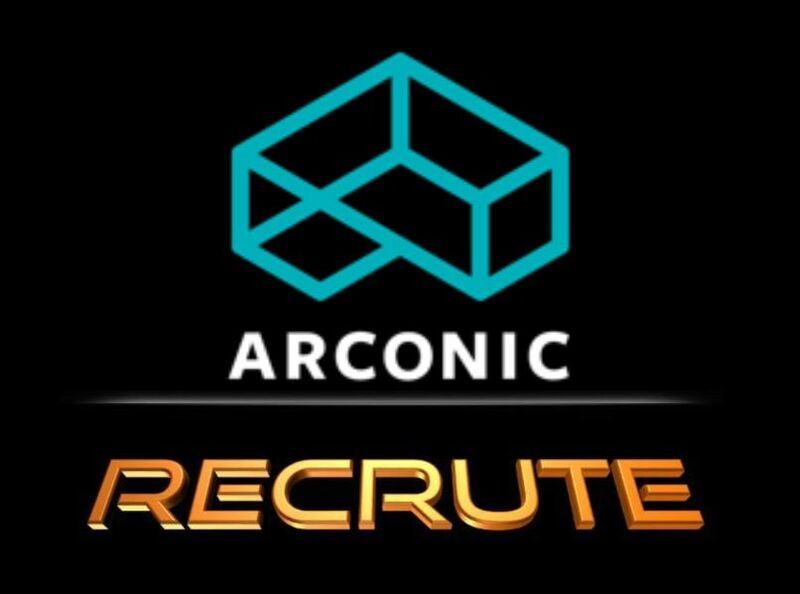 Arconic is seeking individuals who have a demonstrated ability to achieve results in a manufacturing environment, as well as the passion to put that experience to work to lead activities and support plant/location team to achieve manufacturing excellence.Our organization is dedicated to rapid, profitable growth through continuous capital investment, operational excellence and career development. Arconic is a company that promotes and develops from within with worldwide opportunities. If you are an energetic professional that wants to be a part of a dynamic team we encourage you to apply. Arconic (NYSE: ARNC) is a $13 billion global leader in lightweight metals engineering and manufacturing. Arconic’s innovative, multi-material products, whichincludealuminum,titanium,andnickel,areused worldwide in aerospace, automotive, commercial transportation, packaging, building and construction, oilandgas,defense,consumerelectronics,andindustrialapplications.Arconic isaglobalcompany operating in 19 countries. Based upon the country where the point of sale occurred, the US and Europe generated 63%and26%,respectively,ofArconic’ssalesin2016.In addition, Arconic hasoperations inBrazil,Canada,China,Japan,andRussia,amongothers.In November 2016, Arconicwas launchedasastandalonecompanyafterseparatingfromAlcoaCorporation.Arconic operatesthree reportable segments: Engineered Products & Solutions ($5.9bn revenues in 2017), Global Rolled Products (“GRP”; $5bn), and Transportation and Construction Solutions ($2bn). Arconic is seeking a Quality Surge Team Manager to implement Quality strategies that drive bottom-line improvements in manufacturing operations and related support centers.Our organization is dedicated to rapid, profitable growth through continuous capital investment, operational excellence and career development.Arconic is a company that promotes and develops from within with worldwide opportunities.Arconic is seeking a Quality Surge Team Manager to implement Quality strategies that drive bottom-line improvements in manufacturing operations and related support centers.Our organization is dedicated to rapid, profitable growth through continuous capital investment, operational excellence and career development.Arconic is a company that promotes and develops from within with worldwide opportunities. The Quality Surge Team Manager is responsible for assisting in planning and implementing Quality Systems strategy including complaint handling and analysis, documentation, training, organizational planning, implementation of technology, and developing and implementing tactical plans to meet Company and Corporate objectives. This individual assists in implementing policies to ensure compliance with applicable Customer Requirements and Industry Standards / Specifications. Plans, coordinates, and directs Quality Systems and Customer Programs to ensure products and processes are consistent with established standards by performing the following duties personally or through collaboration with others within the organization. Initially, the Quality Surge Team Manager will lead a team of Quality professionals to drive quick Quality improvements in targeted Arconic operations. The Quality Surge Team Manager will be placed in an intensive management training program to learn and then apply Arconic’s Quality system before assuming a full-time Quality leadership role in an Arconic business. Under the direction of the VP Global Quality Assurance, this role is responsible for customer-plant liaison, implementation and improvement of statistical methods, quality cost analysis, specification and procedure development, and conduct of plant quality audits. Strategic Management of the Quality functions for manufacturing operations. Developing overall Product Quality Plan and implement policies, procedures, and processes to improve operational practices, create customer satisfaction and reduce cost. Ensuring that systems & processes are in place with both internal and external suppliers to ensure product quality. Working with management, production, and marketing staff to determine quality requirements for new and existing products. Perform liaison between manufacturing plants and customers relative to customer specifications, customer quality requirements, and customer problems. Review customer complaints, analyze returns, and make recommendations for corrective action. Assist plants in implementation of statistical methods and quality improvement programs. Developing a team of highly motivated quality professionals to drive industry best in class. Managing certification & accreditation processes. Ensuring compliance with customer specifications and government regulations/FAA/CAA/ EASA/DOD/DOT. Establishing procedures to verify new/changing products meet customer and internal requirements before manufacturing start-up. Ensuring long-term sustainability and improvement of the Quality Management Systems. Leading Change Management Process to ensure continuous improvements while ensuring total internal and external customer satisfaction. Timeline driven, passionate, is respected, has credibility. Ability to integrate resources together from inside and outside the company. Proven track record leading a complex quality operation. Leadership of a world class quality functions. Experience working across global borders. Knowledge and experience in implementing Quality Management Programs. Experience in successfully implementing large scale/systemic change efforts across a diverse organization. Understanding of financial and non-financial metrics data necessary to achieve high quality performance. Remain flexible with daily activities in order to handle emergency issues as they arrive. Travel as necessary and on short notice to customers and suppliers to resolve problems. Diverse leadership experience in areas of Engineering, Planning, Financial, Manufacturing or Technical areas. Demonstrated ability to interact effectively with and influence the decision making of Senior Management. Track record for growing and developing people and teams. Leadership and Initiative — Job requires a willingness to lead, take charge, and offer opinions and direction. Disciplined Execution — Job requires holding the Operations team accountable through daily execution to the plan. When required, he/she will need to be able to dive into details to ensure operational success. Energy – Job requires high levels of personal energy and initiative to be successful. Employees must be legally authorized to work in the United States. Verification of employment eligibility will be required at the time of hire.Visa sponsorship is not available for this position. Prefer Graduate Degree in Business, Engineering or related Technology/Science Discipline. Quality Assurance experience in Aerospace or Automotive environment is preferred. Demonstrates integrity, credibility, and confidentiality required. ASQ certification and formal course work in Industrial Statistical Methods. Strong mechanical and manufacturing process skills/experience. Analytical skills and understanding of problem solving techniques/tools. Excellent verbal & written communication skills at all levels required. To apply for this job please visit arconic.taleo.net.